''To see a world in a grain of sand, And a heaven in a wild flower, Hold infinity in the palm of your hand, And eternity in an hour.'' When William Blake wrote those lines, they certainly weren’t alluding to the project I'm about to present, but when I first read through its press release, this poem immediately came to mind. After all, ''Real museums are places where Time is transformed into Space'' and this motto has everything to do with the project-at-hand despite the fact that it’s not an actual museum...it's an iMuseum (and also the point where I draw the line with the riddles). 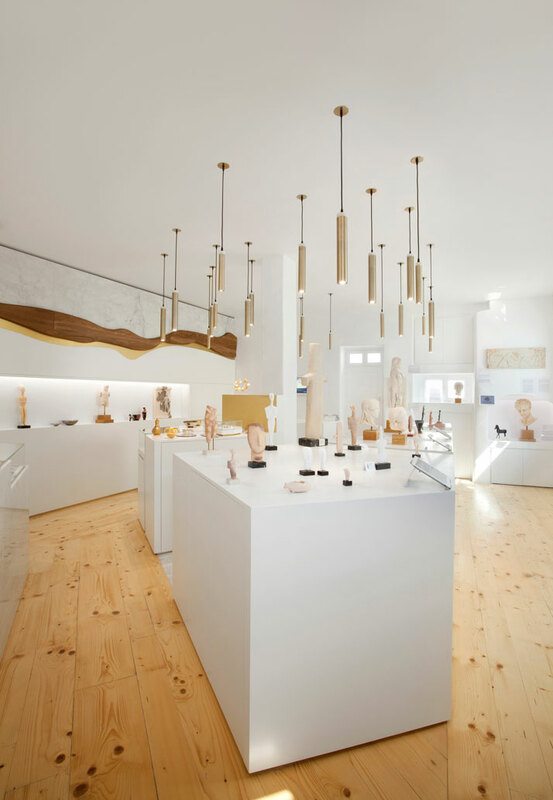 iMuseum is the name of a brand new concept store on the island of Mykonos, Greece, which brings together historical replicas from various Greek archaeological museums. 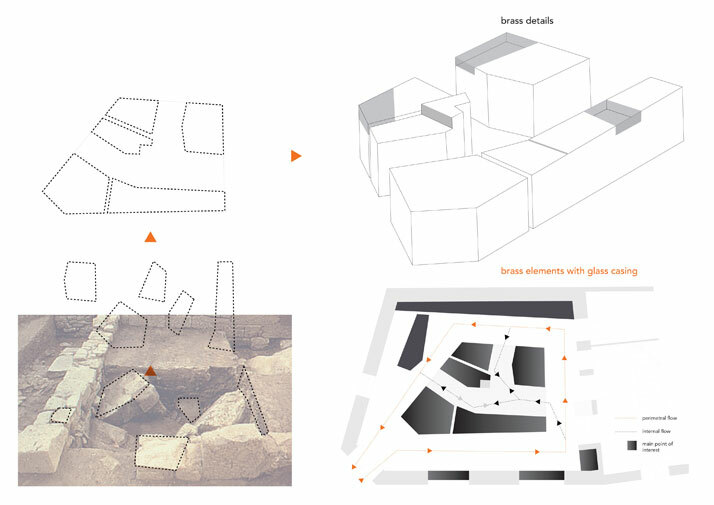 Realized by the Milan based CTRLZAK studio, it expands on a triple concept that revolves around three main axes: stratification, excavation and museological representation. So if you hail from a country where excavation sites abound, like Greece or Italy, you may very well be familiar with the sight of archaeologists kneeling down next to excavation pits, handling delicate findings and looking proud as ever. And these are the kind of scenes that come to mind when one enters the iMuseum. Thanks to its many windows, the space itself is filled with natural light during the day. 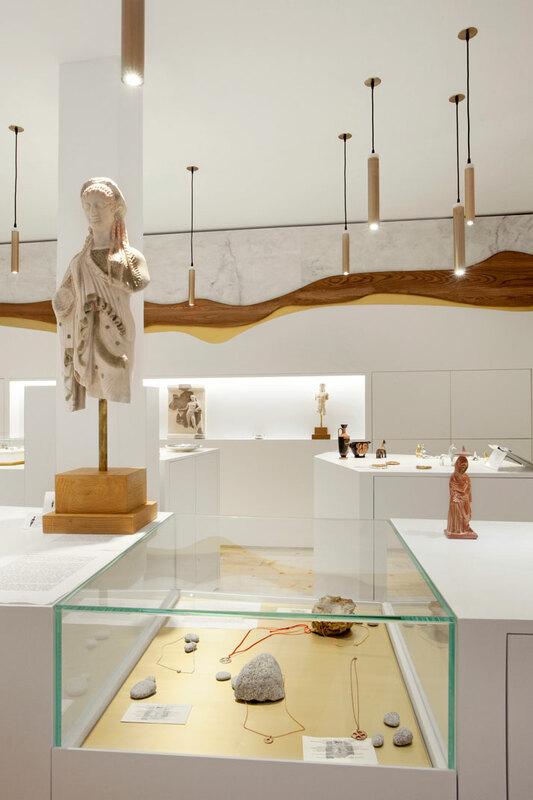 Upon entering, Pentelikon marble is used extensively while pathways of wooden planks (reminiscent of an excavation site) guide you around the exhibits. 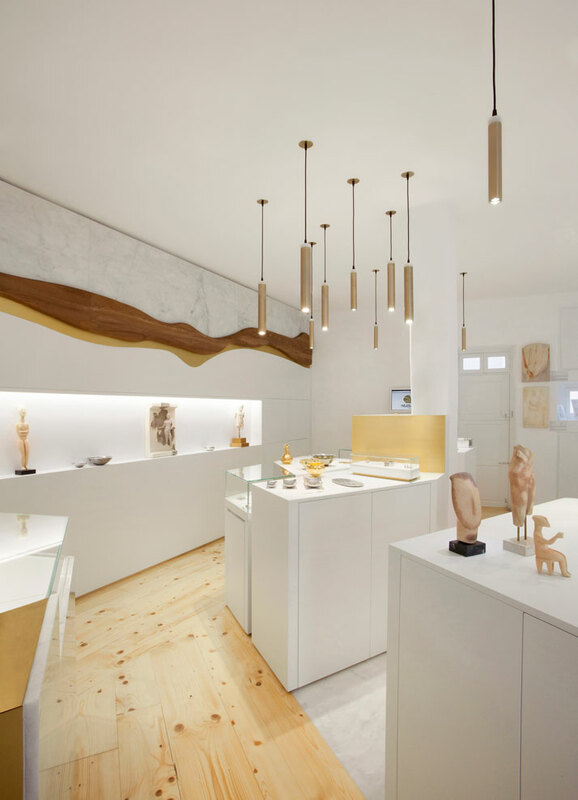 The store’s central displays -large, asymmetric and white - are also inspired by the stone slabs found in excavation sites. 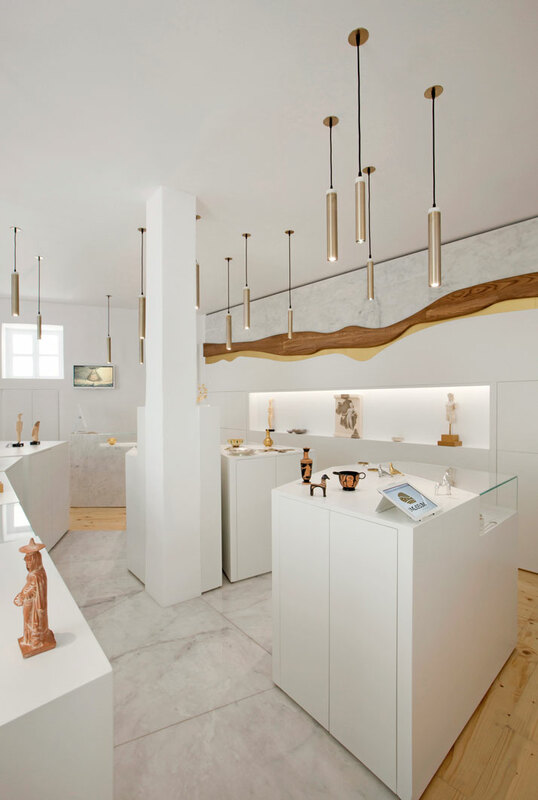 The main materials used throughout the store, in other words, marble, olive wood and brass, are cut in organic formed panels and are combined to create a unique installation, while smart storage spaces and display cases are also incorporated. 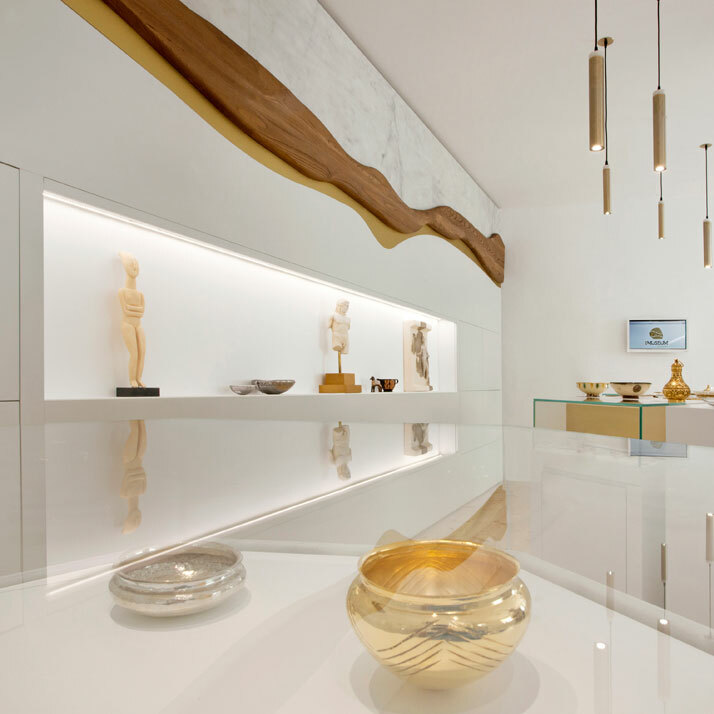 The detail that has gone into this meticulously planned project is evident everywhere; in the brass fixtures designed exclusively for the iMuseum arranged in a grid reminiscent of those used to divide excavation sites or the subtle lighting emphasizing each and every exhibit. 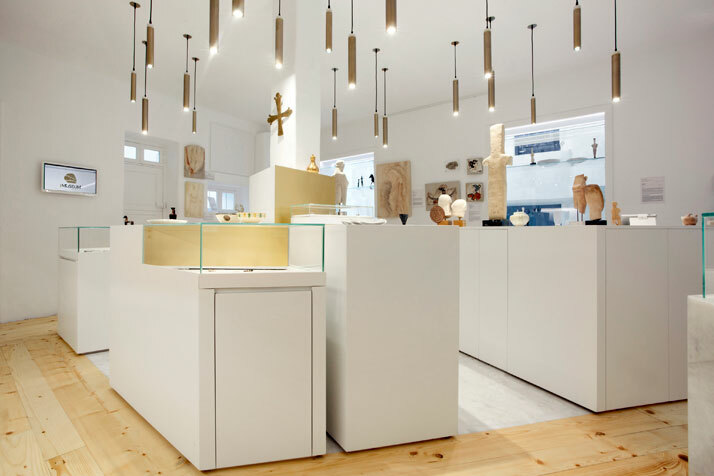 Even the collaboration with Athens-based Sereal Designers for the iMuseum’s logo, sign and full branding shows how everything has been carefully thought through and considered. And the concept goes one step further. Valuable information is also available concerning the exhibits’ origin in the form of tablets and video projections with additional visuals and insight into the story behind each artefact. And this is where the store can claim its museum status. It’s a destination where visitors can actually - and legally - buy any item in the exhibition. 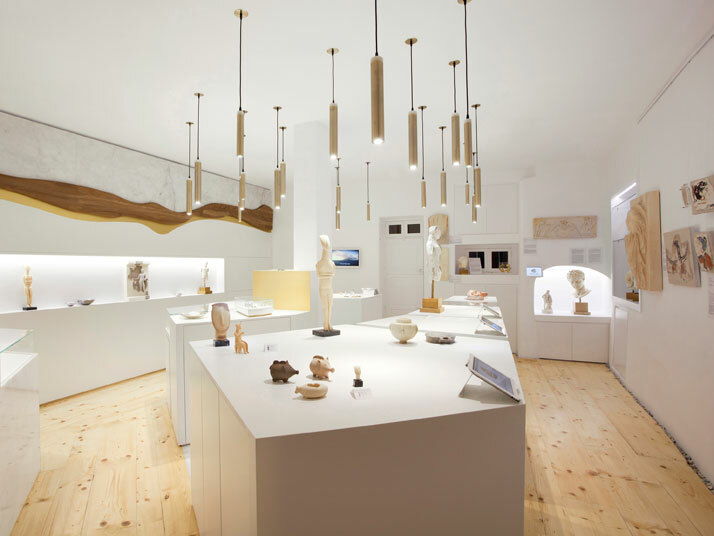 In just a quick stroll around its displays, one can travel through Greece’s captivating history, from the palaces of the Minoan civilization, through to the prehistoric Aegean, Olympia and Athens to Constantinople, the capital of the Byzantine Empire, and on to the dawn of Modern Greece. 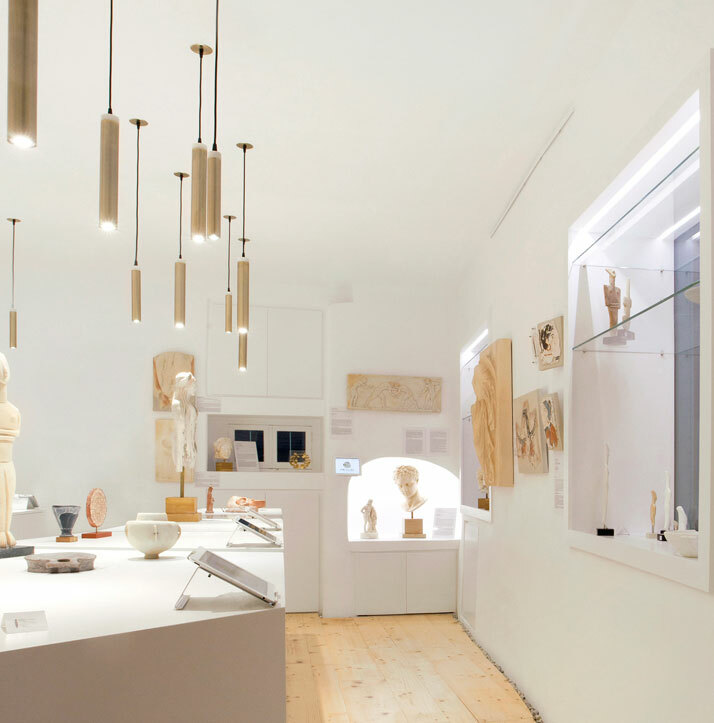 With the hands on experience on offer, you’re allowed to touch the exhibits, learn their stories and go home with the pieces that speak to your heart most. Maybe, at this point, William Blake's writings make more sense ''...Hold infinity in the palm of your hand, And eternity in an hour''.